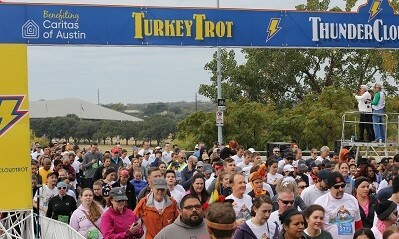 Austin's favorite Thanksgiving Day tradition is helping make Austin stronger together. For 28 years, the ThunderCloud Subs Turkey Trot has benefited Caritas of Austin. 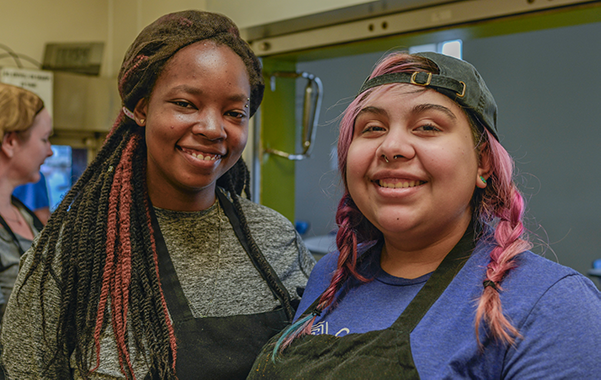 In total the event has raised more than $3.5 million to support our work to end homelessness and provide people with the tools and opportunities to succeed. The run takes place on Thanksgiving Day each year, and there are plenty of ways you can get involved. Sign up for the 5-mile run, 1-mile walk, or Stepping Stone School Kids K, and get your family and friends to participate with you while you’re at it. 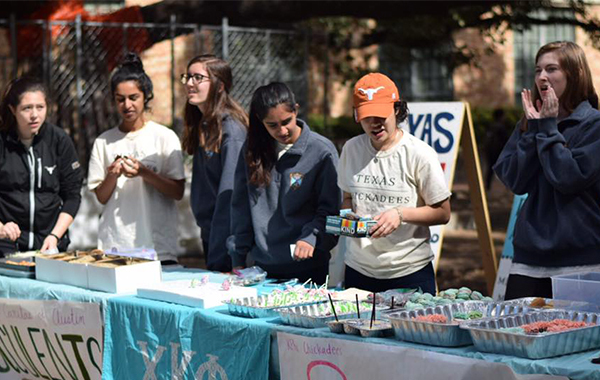 On average, $16 of each registration goes directly to support Caritas of Austin’s work and mission. Now that’s exercise anyone can get behind! 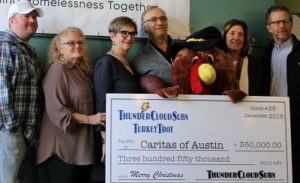 There are 500+ volunteer shifts that help make the ThunderCloud Subs Turkey Trot possible, including helping with packet pick-up the week leading up to Thanksgiving Day and event day logistics. You can sign up as an individual or group! First Texas Honda presented the 2018 Turkey Trot Raffle with a grand prize of a brand new Honda Accord Sedan EX CVT! You can help raise even more money for Caritas of Austin through the Fundraising Challenge. Set up your fundraising page (even if you don’t register to run!) or make a donation to a friend’s page. 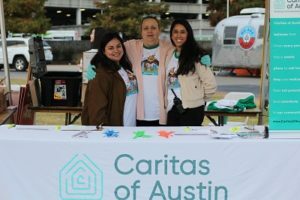 Every additional dollar raised helps Caritas of Austin build wellbeing for hundreds of families each year.